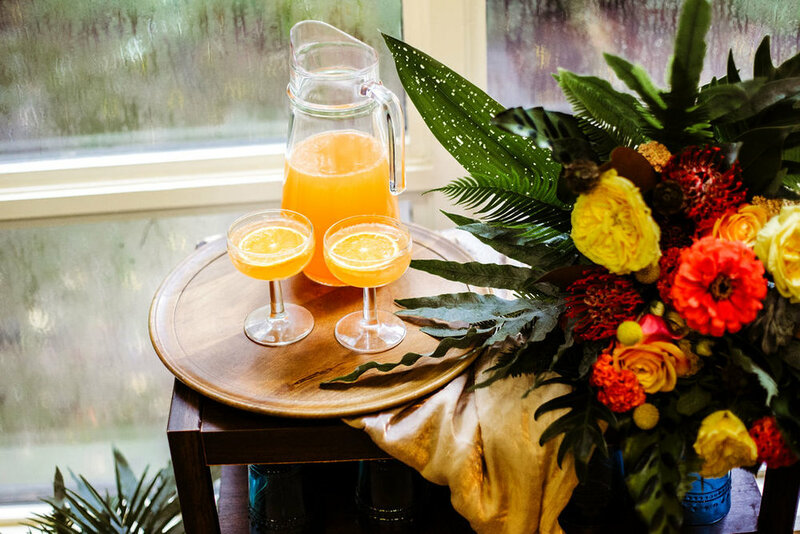 The vendor team behind the shoot purposefully went outside of their comfort zone in creating the aesthetic and feel. 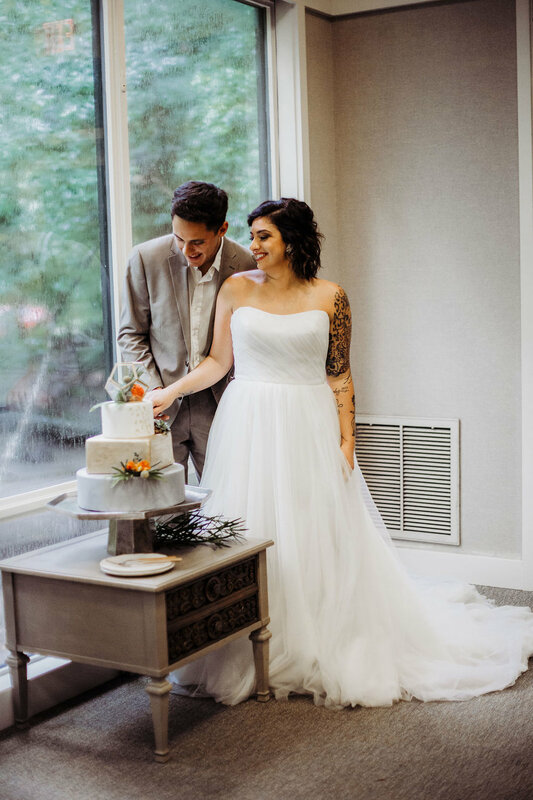 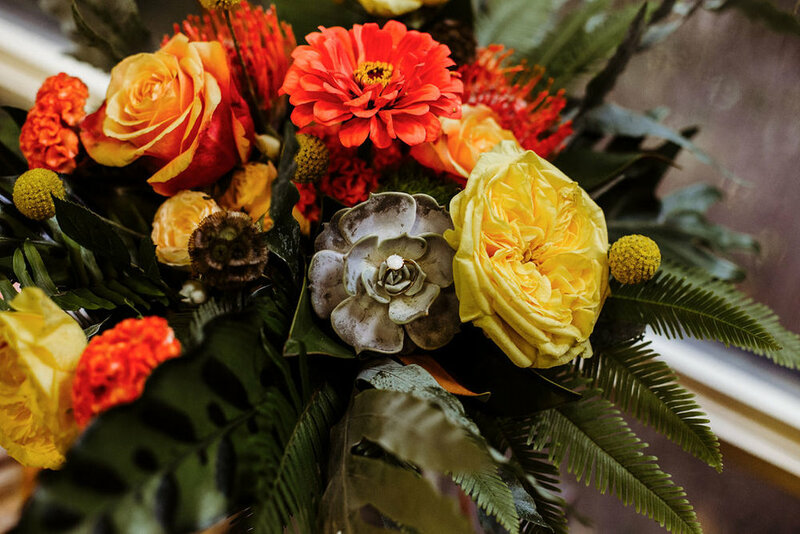 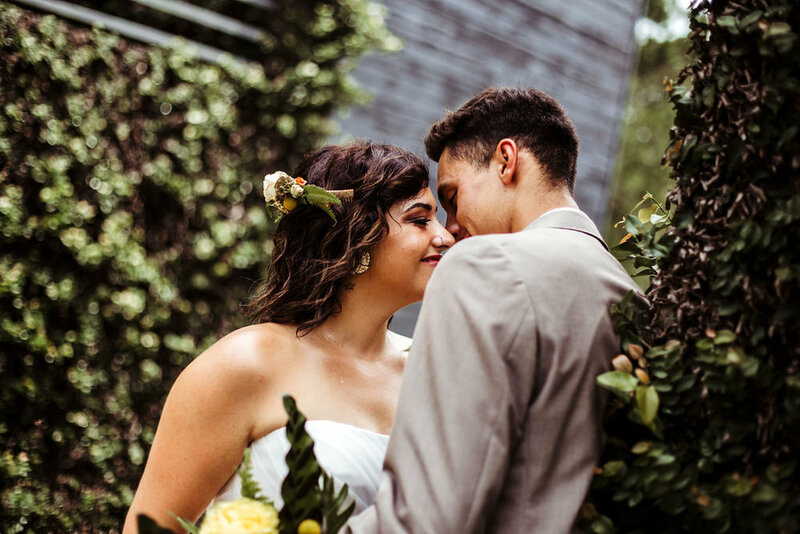 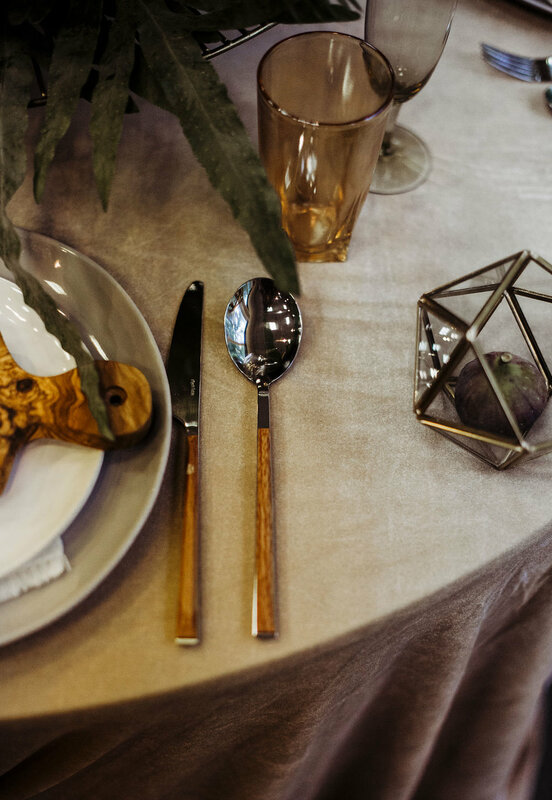 “[Having a mid-century modern wedding with a tropical twist are] both choices you don't see everyday in the South, but they give great inspiration to brides wanting to be unique or add a retro vibe to their day!” says co-coordinator and hair and makeup artist Audrey Bryant-Dozier. 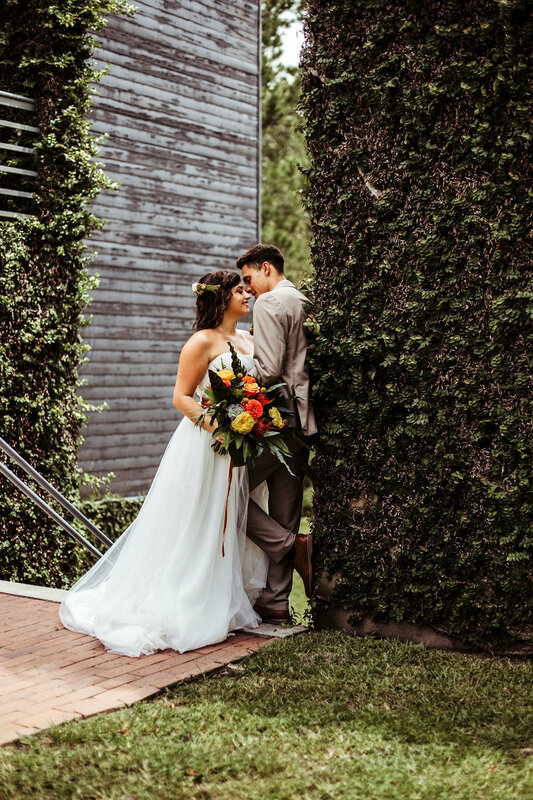 The group set their styled shoot at the Inn at Middleton Place, and completely transformed this centuries-old Charleston icon with a fresh, modern feel. 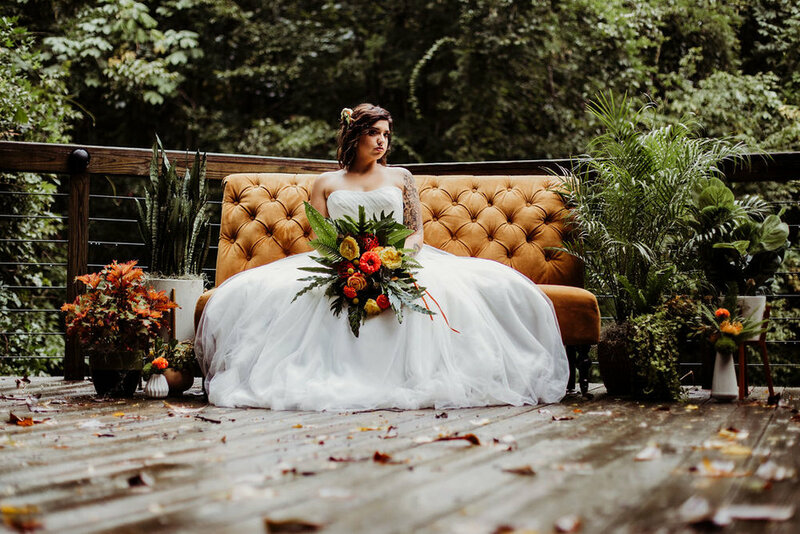 We are all about weddings that help brides think outside the box, as they truly showcase the versatility of the Palmetto State!